Wheat State Distilling offering 1/2 off bills for all teachers in August! 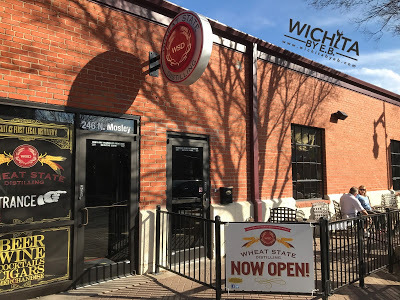 – Wichita By E.B. Home News Wheat State Distilling offering 1/2 off bills for all teachers in August! Wheat State Distilling offering 1/2 off bills for all teachers in August! Here’s a great deal for all teachers! Wheat State Distilling is offering 1/2 off your bill when you come into Wheat State. They want you to come in and relax before going back to school. This offer is good through the whole month of August. Please bring in your teachers badge or ID. It’s not just drinks, they also have sandwiches, charcuterie boards and desserts available on their menu which you can find here. Wheat State Distilling is located downtown at 246 N. Mosley. Their hours are Wednesday and Thursday from 2pm – 11pm, Friday 2pm – 1am, Saturday 11am – 1am and on Sundays from 11am – 8pm. They are then closed on Monday and Tuesday. For those teachers who are trivia fans, they have trivia on Thursday nights. For more information, follow Wheat State Distilling on Facebook.